Lebanese politicians and bankers believe Saudi Arabia intends to do to their country what it did to Qatar - corral Arab allies into enforcing an economic blockade unless its demands are met. Unlike Qatar, the world’s biggest supplier of liquefied natural gas with a population of just 300,000, Lebanon has neither the natural nor financial resources to ride it out, and people there are worried. “These are serious threats to the Lebanese economy which is already dire. If they cut the transfer of remittances, that will be a disaster,” a senior Lebanese official told Reuters. 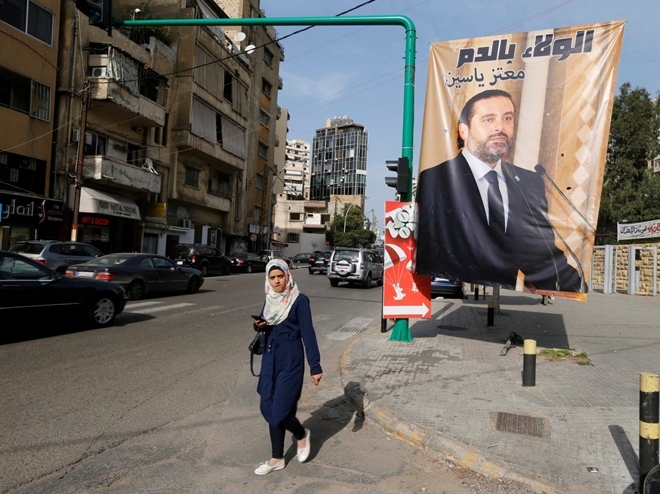 Those threats came from Lebanon’s former prime minister, Saad al-Hariri, who resigned on Nov. 4 in a shock broadcast from Riyadh that Lebanese political leaders have ascribed to pressure from the Saudis. And he spelled out Saudi conditions for Lebanon to avoid sanctions: Hezbollah, the Iran-backed group that is Lebanon’s main political power and part of the ruling coalition, must stop meddling in regional conflicts, particularly Yemen. Hariri’s resignation has thrust Lebanon to the center of an escalating rivalry between Sunni Saudi Arabia and Shi‘ite Iran. “They (Hezbollah) might make some cosmetic concessions, but they won’t submit to the Saudi conditions,” a source familiar with Hezbollah thinking said. Lebanese analyst Sarkis Naoum said Riyadh wanted Hariri to return to Lebanon and press President Michel Aoun to open dialogue and address their conditions on Hezbollah’s regional interventions. “They need to come up with a position that will be satisfactory to the Saudis ... If the Saudis decide on sanctions they will do it,” Naoum said. “There was no sugar-coating. The sanctions were spelled out clearly. They want Lebanon to be disassociated from Hezbollah”. Hezbollah and Iran’s involvement in Syria has also transformed the war in favor of President Bashar al-Assad, while Saudi support for Sunni rebels in Syria’s civil war have amounted to little. Hezbollah, a movement with a heavily armed fighting force in addition to seats in parliament and government, is Iran’s spearhead in the region. Tehran’s Revolutionary Guard looks to be trying to replicate it by building coalitions of militia groups in Iraq and Syria, according to some analysts. Allegiance to foreign backers is not new to Lebanon. Sunnis have always looked to Saudi Arabia for support and funding while Shi‘ite Lebanese tended to turn to Tehran and Hezbollah. “The Lebanese have always been agents of foreign powers. They take their money, make promises, commitments and alliances,” Naoum said. But while Hezbollah fulfilled its promises to Iran, Sunni factions let Riyadh down, he said. Now it appears ready to do serious economic damage to Lebanon that could weaken Hezbollah’s standing at home and in the region, should its demands not be met. The Saudi conditions are causing alarm among some Lebanese, who have long viewed Hezbollah as a “state-within-a-state”. Many believe the solution is outside the control of local players.